All winners, honorable mentions, and finalists will have their entries accompanied by their name displayed on the ARC website and will also be featured in the 14th International ARC Salon Catalogue. In addition, all winners and honorable mentions will receive an Award Certificate suitable for framing. More awards to be announced! 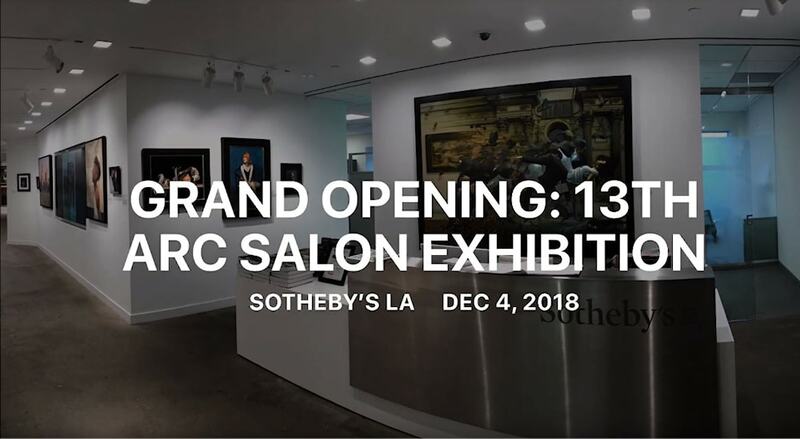 When talking about competitions and exhibitions dedicated to 21st Century Realism, The International ARC Salon is the largest in the world in terms of entries, and the most diverse in terms of categories and International participation. The show, which consists of many of the winners, honorable mentions, and some finalists will travel from the MEAM (Museum of European Art Modern), in Barcelona, Spain to NYC. The show will consist of approximately 75 to 100 works from the 14th International ARC Salon and travel to a minimum of two locations. The totality of the exhibition will take place between December, 2019 and July of 2020. Additional venues and dates will be published to this description as we finish finalizing this International event. We will also be providing an opportunity for qualifying artists to sell their works at these venues if the artist chooses to make them available for sale. Please note, availability of your work for the traveling exhibition is not required for entry into the ARC Salon Competition or for winning the top awards in the ARC Salon Competition. The winner will also gain automatic acceptance into the ARC Approved Artist/Living Master Gallery with exemption from the application process and the application fee. ARC Artist/Living Master Gallery space in the Museum section of the ARC's website includes the artist's biographical and contact information accompanied by 25-30 images of the artist's finest works. This award is given to a work that focuses on Emotion, Theme, and the Figure and is awarded by ARC Chairman, Fred Ross. In recent years it has been awarded to the second highest ranked work in the show. 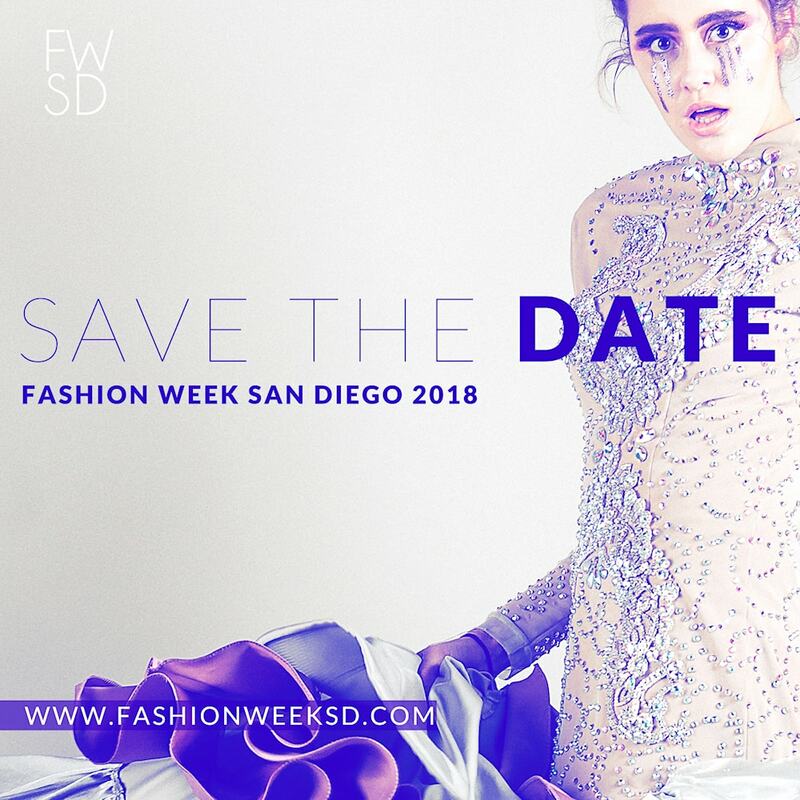 ARC will partner with Fashion Week San Diego (FWSD) who will select between 6 and 10 works from the 14th International ARC Salon to take part in an exclusive opportunity with Fashion Week San Diego Designers. FWSD designers will be matched with the winning artists work and the designers will create an original couture outfit inspired by the work of art from the ARC Salon. The ARC Salon winning works along with the specially designed garments will be on display with live models for a special event. Guests/attendees will be able to "vote" for their favorite piece and pairing. This will be an opportunity to promote Contemporary Realism to an audience who might not have seen it otherwise and to expose the Realist Art Movement to top fashion designers in the industry. More details to be announced. Rehs Contemporary Galleries, Inc., New York City, NY will select a group of approximately 15 finalists who will be asked to supply the gallery with additional images. From those finalists, the gallery will choose a select group of artists for a group show to be held at their gallery on 57th Street in 2019 or early 2020. All works selected for the exhibition must be available for sale. Rehs Contemporary Galleries, Inc. began as a new venture stemming from Rehs Galleries, Inc., which specializes in 19th and early 20th century European works of art. Following in suit with the art world they know best, Rehs Contemporary Galleries, Inc., represents contemporary artists that create original works in a traditional style; works that demonstrate an artist's superior technical skills and classical training. Haynes Galleries (Franklin, Tennessee) will select a group of approximately 15 finalists who will be asked to supply the gallery with additional images. From those finalists, the gallery will choose 4—6 artists for a group show to be held in late 2019 or early 2020. All works selected for the exhibition must be available for sale. For more than three decades, artist and collector Gary R. Haynes has studied art while assembling a collection of some of the finest work by significant 19th, 20th, and 21st century American artists. Unique in many ways, Haynes Galleries is the result of Mr. Haynes’s passion for and commitment to the connoisseurship and appreciation of fine art. His vision, to create a private, full-service fine art gallery specializing in Contemporary and American Realism while serving as a resource center offering a range of art and collection management services, came to fruition with the inception of Haynes Galleries. The gallery presents original exhibitions at their intimate home-like space in Franklin, Tennessee, just south of Nashville, with receptions, artist lectures, and special events throughout the year. It also regularly partners with neighboring institutions including museums and other galleries for unique events and pop-up exhibitions. The gallery also presents select exhibitions at special venues in Maine during the summer months. The gallery also actively offers specialized consulting and concierge services for collectors of every level. Mr. Haynes attends to the personal needs and aspirations of each collector, understanding their style preferences, goals, and timeline. 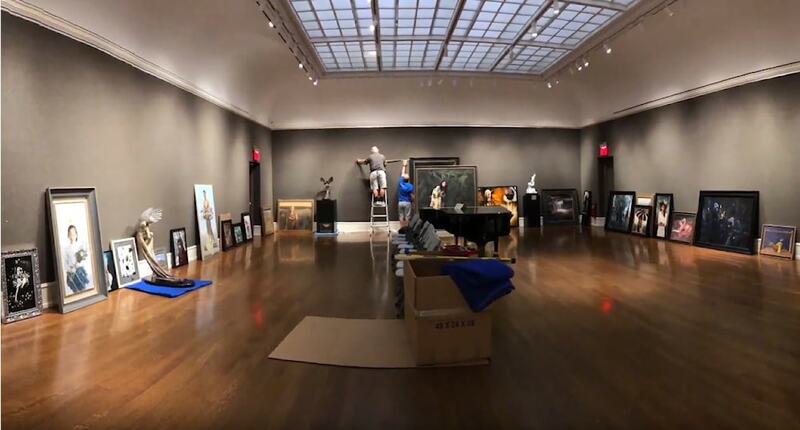 The mission of Haynes Galleries is two fold — one: offer the finest art — with a focus on realism — and to provide exceptional collection management services on a personal level to those who share a passion for the arts. Two: assist gallery artists in the strategic development of their brand and in their marketing approach that delivers right message to the right audience at the right time. American Legacy Fine Arts, LLC, Pasadena, California will select a group of approximately 15 semi-finalists. These semi-finalists will be asked to supply the gallery with additional images of original sculpture or paintings. The gallery will then choose 4-6 artists for a group show to be held at their gallery in Pasadena, California. The exhibition will be held in late 2019 or early 2020. All works participating in the exhibition must be available for sale. American Legacy Fine Arts (ALFA) was established in January 2003 by Elaine Adams as an exclusive art gallery to assist beginning and established collectors in their acquisitions of contemporary-traditional fine art created by leading artists. Built on the philosophy that artists should be encouraged to exercise artistic freedom — including exploration into different genres — ALFA provides art enthusiasts with the unique opportunity to expand and enhance their collections with exceptional works of original art that have truly inspired the artists. The gallery offers a gracious and elegant salon setting to showcase the work of exceptional contemporary American artists. Open by private appointment or invitation, ALFA is located just minutes from Downtown Los Angeles in one of Pasadena's most tranquil neighborhoods and is near the world-famous Rose Bowl Stadium, Norton Simon Museum and Gamble House. This award will be juried by Elaine Adams in coordination with the ARC. American Legacy reserves the right to refuse any newly created works that do not meet their standards. The Springville Museum of Art, Springville, Utah, has added an ongoing award to the ARC Salon Competition, devoting a "Featured ARC Artist" gallery wall to their museum in their Founders Gallery. The museum will be selecting one ARC Salon Finalist from the state of Utah each competition to be featured at the museum over the course of the following year. The Springville Museum of Art is Utah’s first museum for the visual fine arts, dedicated as a “Sanctuary of Beauty and a Temple of Contemplation”. The Museum houses over 2,500 works. Utah art, twentieth-century Soviet Realist art and American art, comprise the Museum's permanent collection. With over 15 exhibitions annually, the Museum is a key promoter and contributor to the arts in Utah. Artwork is displayed throughout 29 galleries in this 45,000 square foot facility and a beautiful outdoor sculpture garden. The Museum seeks to fulfill its mission by refining minds and building character through the fine arts. As official State Wide Art Partnership (SWAP) headquarters, the Museum is home for visual art educational outreach programs to the schools of Utah. A variety of exhibitions, concerts, programs and special events are offered throughout the year. This award will be adjudicated by a representative(s) of the Springville Museum of Art. This award will be selected by Windows to the Divine president, Shannon Robinson, who will select between one and five artists to create a new work to be made available for sale in the 2020 Windows to the Divine Exhibition to take place in Denver, Colorado. To support artists and encourage everyone to become a collector, Windows to the Divine® hosts four types of art events: national art exhibitions, paint outs, collector salons and national collector symposiums. The primary emphasis of the salons and symposiums is public and collector education. At exhibitions and paint outs, in addition to educational opportunities, all collectors — from beginner to connoisseur — can acquire high-caliber original art works from renowned and emerging artists from Colorado and around the country. To ensure accessibility for all, they showcase works in a wide range of styles and prices, with a strong focus on realistic subject matter. Through their national network of collectors known as Collectors for Connoisseurship, they are known to have a large patron base and placement in the Windows to the Divine Exhibition will guarantee that many collectors are exposed to the artist and their work. The winning artist will be awarded an article in the prestigious art magazine Fine Art Connoisseur that will be seen by tens of thousands of art collectors and enthusiasts worldwide. In addition, Fine Art Connoisseur will publish an article highlighting some of the winners of the 14th International Salon, just as it has highlighted winners for the past four years. This award will be chosen by the magazine's editor-in-chief, Peter Trippi, and publisher, B. Eric Rhoads. Fine Art Connoisseur serves art collectors and enthusiasts with innovative articles about representational paintings, sculptures, drawings, and prints. The magazine, produced by Streamline Publishing, has developed a particularly strong reputation for its editorial coverage of realism, a field of artistic excellence generally overlooked by other periodicals. One artist who paints en plein air will be chosen for a feature article about their artwork in PleinAir Magazine, which is the best-selling art magazine in Barnes & Noble stores nationwide. This award will be chosen by the magazine's editor-in-chief, Kelly Kane, and publisher, B. Eric Rhoads. Painting from nature out-of-doors, en plein air, and painting from life are the foundation of much of painting throughout the history of art. Today tens of thousands of artists and collectors have joined a new plein air movement, which you can follow in PleinAir, published by Streamline Publishing. A featured article on one or more artist's works in Collections Magazine. Collections Magazine, founded in 1993, has published 252 monthly issues and has the highest reputation in art collection and art marketing in China. Collections Magazine was awarded China's most influential journal in 60 years and was three times nominated for the "National Journal Award". This award will be chosen by the magazine's editor-in-chief, Yinglun Ji. An article featuring one or more artists from the ARC Salon Competition in PoetsArtists magazine. The winning artist(s) will receive a several page spread about their work and a write-up and/or interview by Lorena Kloosterboer, one of the magazine’s main writers. One artist will also be featured on the cover of this publication. PoetsArtists is a platform uniting artists, authors, art collectors, galleries and other art affiliated members. Their mission is to ignite creativity and connect an already strong community with further artistic and literary opportunities. They publish issues 8 to 12 times a year focusing on Contemporary Figurative Realism, portraiture, and poetry. This award will be chosen by Lorena Kloosterboer. Enchanted Living, formally known as Faerie Magazine, is a quarterly print magazine that celebrates all things enchanted — from a scattering of mushrooms in an ancient forest to a sweet, scented gown made only of roses. The New York Times described it this way: "It's as though Martha Stewart's Living and Edmund Spenser's The Faerie Queene had a magazine baby." Founded by artist and visionary Kim Cross in 2005 and helmed by novelist Carolyn Turgeon since 2013, the magazine is a feast for the senses. Every issue features exquisite photography, recipes, original fiction and poetry, travel pieces, artist profiles, home decor, otherworldly beauty tips, craft tutorials, and much more—with a dash of enchantment sprinkled throughout. The publication reaches readers not only in its print and digital editions (including through the Faerie Mag app) but also through its massive social media platforms, with 1.6 million fans on Facebook, 167,000 on Instagram, and 80,000 subscribers to its weekly newsletter. This publication award will be given to an artist whose work is entered in the Imaginative Realism Category and captures a love of fantasy and creativity. This award will be juried by the magazine’s editor and chief Carolyn Turgeon. Purchase awards will be chosen from the finalists and awarded at the sole discretion of the ARC's Chairman, Frederick C. Ross, for the Art Renewal Center's growing collection. Works do not need to be for sale for all other awards. Retail prices are shown. 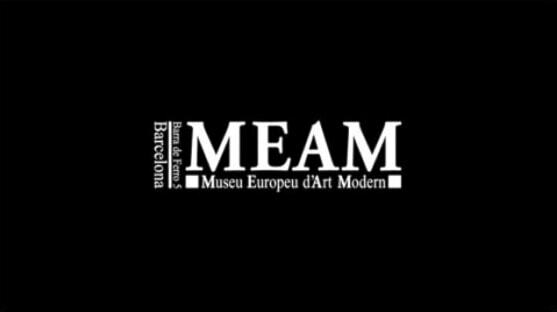 The MEAM (Museum of European Art Modern) is a museum dedicated to contemporary realism located at the Gomis Palace, in the middle of the streets of the Born in Barcelona, a neighborhood where culture is always present and reflects the charm of the old part of the city, an area that knows how to mix tradition and modernity, becoming a required visit for the tourists interested in Monumental Barcelona. They will be awarding a purchase award to one of the entrants of the 14th International Salon Competition. This purchase award will be displayed in the European Museum of Modern Art on public view and it will become part of the permanent collection of the museum, and therefore will always be exhibited during the months this collection is open. All Finalists will have their entry accompanied by their name displayed on the ARC website and will also be featured in the 14th Annual ARC Salon Catalogue. * ARC reserves the right to adjust awards up or down by a maximum of 20% based on the number of entries received. Artists must submit digital files in JPEG format via our online entry form. Glass slides, images on CDs and large format transparencies will not be accepted. All digital images must be at least 1MB in size. If you have a technical problem submitting your entry, or cannot submit via our online system, please contact our Museum Archivist Yvette Lytle at Yvette.Lytle@artrenewal.org. The competition is open to all those who wish to enter worldwide. A full color Catalogue will be published of all award winning entries and finalists. Each entrant will receive one copy of the Salon Catalogue as long as shipping is paid for. You can also pre-purchase additional copies as the price is much higher after finalists are announced.